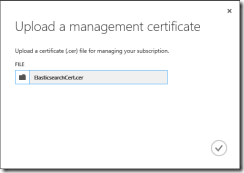 Are you interested in getting started with Windows Azure and have are free on Saturday April 27th 2013? Then why not join me in Bradford at the Global Windows Azure Bootcamp being hosted by Black Marble? I’ll be joining Microsoft Integration MVP, Robert Hogg, Windows Azure MVP, Steve Spencer and Microsoft Alliance Manager, Linda Hogg to deliver a one day deep dive class which will help you get up to speed with developing for Windows Azure. This is a great opportunity to get real hands on experience with developing on Windows Azure from professionals who are actively developing solutions on the Windows Azure platform. Windows Azure is a fantastic platform to develop on and we hope to see many of you at the event getting up to speed with development. 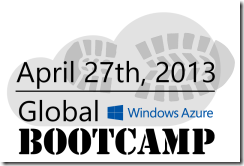 To register for the Bradford event please go to - http://www.blackmarble.co.uk/Register.aspx?Event=Global Windows Azure Boot Camp&Date=27-Apr-2013 and make sure to check out the list of pre-requisites for the bootcamp - http://globalwindowsazure.azurewebsites.net/?page_id=171 – please arrived prepared as we hate for you to miss out on the good stuff and spend the day getting your laptop ready . On Wednesday we celebrated the third birthday of NEBytes, a user group in the North East of England for Developers and IT Pros which I am a co-founder of. We were delighted to partner up with the SharePoint User Group for the event and welcomed Dr. Bill Ayers to speak on Agile SharePoint Development. In addition we’d planned to have a speaker visit to talk about Windows Azure IaaS at the event but unfortunately had problems sourcing a speaker due to a number of issues. I therefore stepped in and reviewed some content from Microsoft and presented it at our event. This was an interesting way to prepare for a presentation and I hope those who attended found the material and demos interesting and easy to follow. 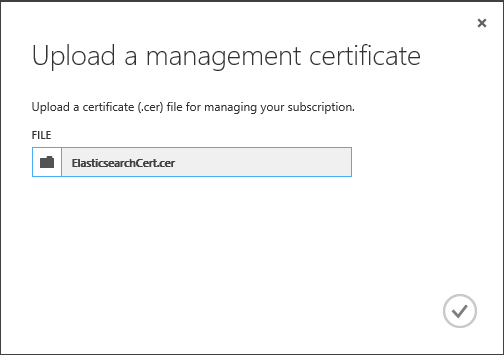 I am currently spending a lot of time on the PaaS (Platform as a Service) side of Windows Azure and it was interesting for me to delve into the IaaS (Infrastructure as a Service) elements of Windows Azure. There is quite a comprehensive offering and whilst I haven’t spent a huge amount of time in Amazon Web Services, apart from using an EC2 instance for Load Testing, I feel it’s growing fast and new features are coming on board frequently.